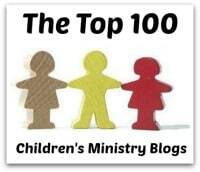 We need to pray for the children in our ministries. When I look at this world around me and how God's Word is mocked and disregarded, I am concerned about what it will be like for them to grow up. I most sincerely want them to grow to be people who know, love and walk with Jesus, so I pray. I pray for them because while I am limited in what I can actually do, God is not. He is bigger than I think He is and He is able to do ever so much more than I can even begin to imagine! So, what do I pray about? Certainly the list has a number of things on it and changes depending on the situations they are facing, but over the next few days I'll share my Top Three Prayer Requests for the Children in our Ministries; beginning with #3 . . .
For God to protect them from the evil one. 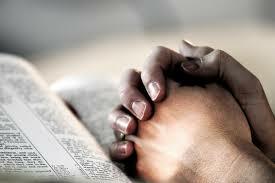 (John 17:15 - My prayer is not that you take them out of the world but that you protect them from the evil one.) This world is frightening. There are so many things out there to deceive the children in our ministries. I can not protect them from the things in this world, but God can and He will. I pray for God to protect them from the evil one. I pray because I know Satan is a roaring, prowling lion who seeks to devour those who follow God. The children will be faced with many things throughout their lives to deceive, derail and sidetrack them - I pray for God to protect them from the evil one. If Jesus' disciples needed Him to pray this for them - people who actually knew and physically walked with Him, then we - and the children in our ministries certainly need this prayer for them as well. Pray for the children in your ministries to be protected from the evil one.